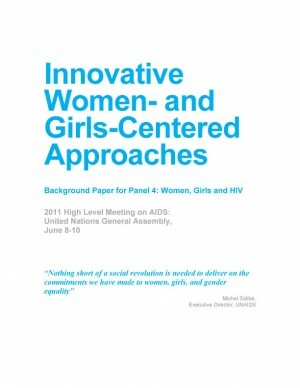 A review of HIV interventions for women and girls has identified groundbreaking interventions that were able to trigger change in the HIV response and served as game changers. This paper highlights a sample of these interventions, drawn from a review of the literature and consultation with more than fifty civil society organizations. It identifies some of the key ingredients in successfully challenging the social and structural determinants that make women vulnerable to HIV. The described interventions are in the area of social change, integrated health and support services, and engagement of other sectors, including sports, finance and information technology. Recognizing that there are many other innovative community programmes that could be profiled, the paper underlines the need for identifying and leveraging game changing interventions, without trying to be exhaustive.